Facebook on a personal level isn’t for everyone; however you could really be missing something big if you’re not using it for your business. For a few years now, Facebook has proven to be an extremely valuable marketing platform, so we thought we would highlight some of the benefits and how you can use it to its fullest potential. There are many reasons why Facebook is a great place for your business. It provides the perfect opportunity to connect with targeted audiences and deliver key messages, whilst also generating traffic to your website, which is the ultimate goal. The great thing about this form of marketing is that it’s completely FREE. There are of course some paid for features, however these can be tailored towards any budget and are overall a low cost method of advertising which can also be measured. Having a clear social media strategy is important so here are a few things to think about when planning your Facebook activity. Is Facebook the new search engine? It has become far more common for a person to search for your business on Facebook, than to just search on Google. Therefore, simply having a presence on Facebook gives you the opportunity to connect with new customers, raise brand awareness and drive traffic to your website. According to a recent study carried out by the Internet Advertising Bureau UK found ‘that nearly 80% of consumers would be more inclined to buy more often in the future because of a brands presence on social media’. So, how can you drive traffic to your website from Facebook? The key to driving traffic to your website via Facebook is fresh and engaging content which will entice people to click through to your website and read more. This can include a blog, or a weekly photo and/or latest news on what you’re up to. Videos are also extremely popular as they instantly grab attention. 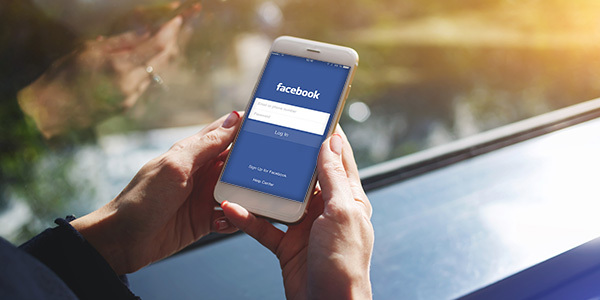 Adding a Facebook link to your website automatically connects the two channels of communication making it a quick and easy process. Doing this on a regular basis will build your presence and keep you in people’s minds, creating h3er and loyal relationships with your customers. How to target customers from Facebook? An important thing to consider when communicating on Facebook is your target audiences and how to reach them. Who are they? What would they be interested in and how will you get them to engage with your product or service? You might not think Facebook is the right place for your business, but before you dismiss it take a look at your competitors. If they are there then you need to be there too! We believe there really is a place for every type of business, big and small. Along with the free benefits of raising your online presence and brand awareness, there are also several enhanced features which are designed to target your audience more specifically. How do you know if Facebook is working for you? Facebook has great measuring tools, so you can keep an eye on how people are responding to your page and adverts. You can review how many people ‘like’ your page and also any new ‘likes’ you had. How many people have seen your posts and how many people have ‘liked’ a post, commented or even how many people shared it. You can continually review which posts or adverts get the best response and can then make informed decisions on what performs best for your business. Here at Pelling we love Facebook. It helps us to create brand awareness, drive potential clients to our website and stay present in our clients mind. We use it to post our latest work, blogs, get involved in National Awareness Days and share interesting articles. It’s a great way for all of us at our Farnham office to stay connected with people on a regular basis. Pelling are pleased to welcome Polly Cantle as our new designer!